Sign up and receive Property Email Alerts of Farms for sale in Ballito, Ballito. 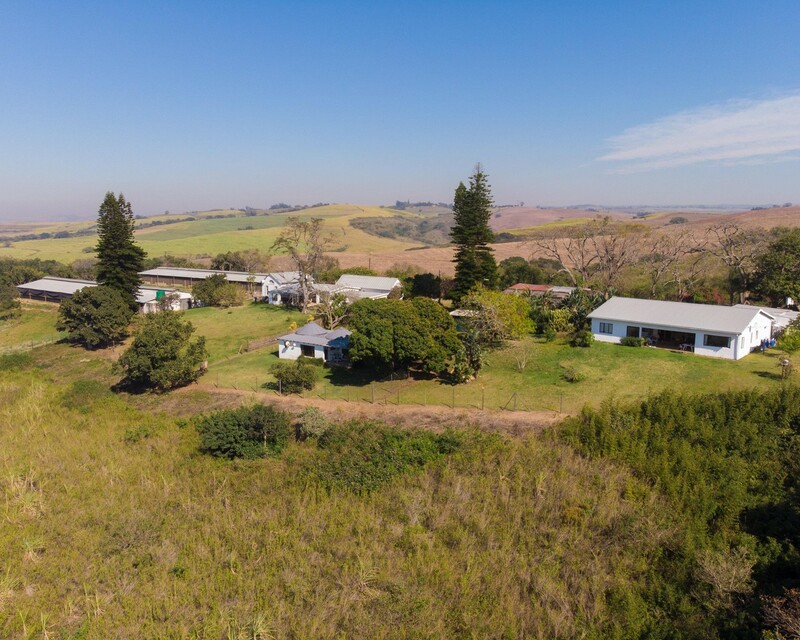 This outstanding property is located just 7km from the centre of Ballito and 22km from King Shaka International Airport affords one the opportunity of a country lifestyle without sacrificing the conveniences demanded by modern living. The existing homes are sited on a ridge and enjoy commanding views over the greater Ballito area, while about 75% of the land remains available to be used as a buyer might wish. With two houses, three cottages, two operating chicken houses and a workshop, the farm generates a healthy rental income for its owners. Features include two boreholes, electric fencing and cost-effective electrical supply direct from Eskom. Sign-up and receive Property Email Alerts of Farms for sale in Ballito, Ballito.